We had been to see Ormesby St Margaret and Ormesby St Michael, but there had once been a third church, between the two. 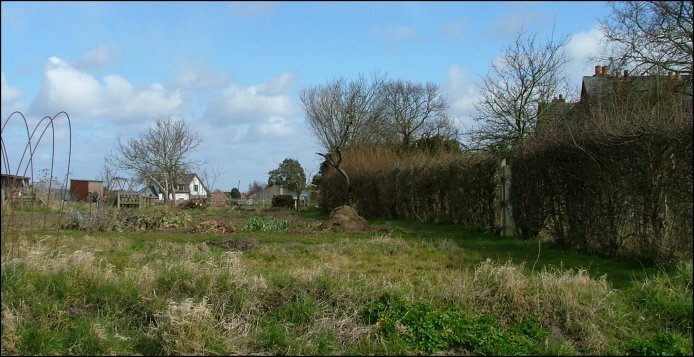 The site is still identifiable near some allotments not far off. The land is raised here, and you must once have been able to see the other two churches from this one. In the 18th century, the antiquarian Francis Blomefield was interested to see a ruined church here being used as a barn. The round tower had collapsed, but was still recognisable. In the early 19th century there were still ruins here, but now nothing survives. The parish continued, and was united with that of Ormesby St Margaret, along with Scratby, where the church of All Saints was also lost. 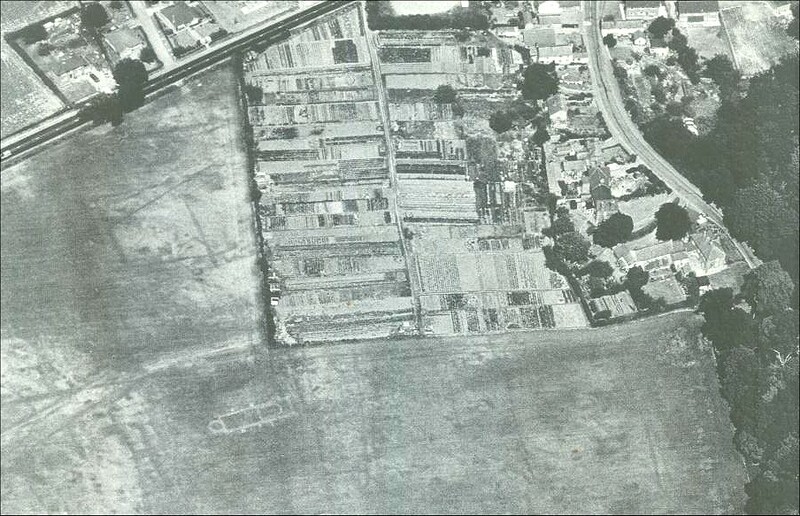 The site of St Peter is still visible from the air, as is shown on the image kindly lent by Robert Lambert below. The church is in the bottom left-hand quarter of the photograph - the ghost of the round tower shows up particularly well.